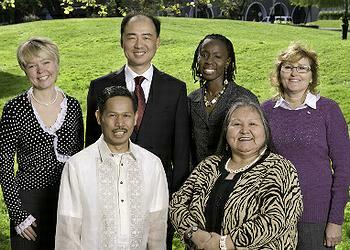 SAN FRANCISCO, California, April 16, 2012 (ENS) – The Goldman Environmental Foundation today announced the six winners of the 2012 Goldman Environmental Prize, people who protect the environment and their communities, often at risk of their lives. Now in its 23rd year, the Goldman Environmental Prize, is awarded annually to “grassroots environmental heroes” from each of the world’s six inhabited regions. It is the largest award for grassroots activism with an individual cash prize of $150,000 for each winner. The 2012 winners will be awarded the prize at an invitation-only ceremony this evening at the San Francisco Opera House. A smaller ceremony at the Smithsonian’s National Museum of Natural History in Washington, DC will follow on Wednesday. Prize winners are selected by an international jury from confidential nominations submitted by a worldwide network of environmental organizations and individuals. The jury considers nominations from more than 50 organizations working on environmental issues and 150 environmental experts from more than 70 countries. These nominations are researched and fact-checked over a five-month period, during which time hundreds of references are contacted. Since 1989, 151 winners from 81 countries have received the Prize for outstanding efforts to preserve and enhance the environment. 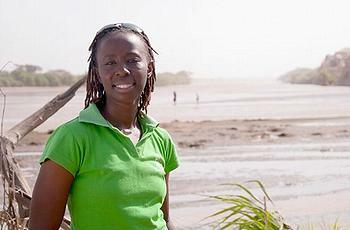 Ikal Angelei of Kenya, the 2012 Goldman Prize winner for Africa, has dedicated herself to stopping for the Gibe 3 Dam on the Omo River, source of 90 percent of Lake Turkana’s water. Lake Turkana, a World Heritage Site, is the largest desert lake in the world, populated by crocodiles, hippos, snakes and fish. It serves as a critical water supply for the hundreds of thousands of indigenous farmers, herders and fishermen. Gibe 3 Dam would be the largest hydroelectric plant in Africa, and the fourth largest in the world. The dam is expected to cause the water level in the shrinking lake to drop even farther. Poverty and resource conflicts between communities are likely to increase as a result. Raised in the Lake Turkana Basin where inter-ethnic violence is rife, Angelei was working at the Turkana Basin Institute, an anthropology research center, when she heard about Ethiopia’s construction of the giant dam, begun in 2006. Outraged that it was being built without consultation with local communities, she founded the group Friends of Lake Turkana, FoLT, in 2008. Angelei informed elders, chiefs and opinion leaders, none of whom had heard about the dam, and brought together Lake Turkana’s divided indigenous communities to fight the dam. In February 2009, local tribes issued a “Lake Turkana People’s Declaration” stating that they had given FoLT the mandate to communicate their grievances regarding the dam. Angelei took the declaration to Kenyan MPs and Cabinet ministers, urging them to reconsider Kenya’s power-purchasing deal with Ethiopia. In response, in August 2011, the Kenyan Parliament passed a unanimous resolution for the Kenyan government to demand an independent environmental assessment from Ethiopia. UNESCO’s World Heritage Committee responded by passing a resolution to halt dam construction pending further investigation. Angelei convinced major banks, including the World Bank, the European Investment Bank and the African Development Bank, to withdraw their financing of the Gibe 3 Dam. Currently, the Gibe 3 Dam is 40 percent complete and the Ethiopian government is struggling to secure funding. If Kenya pulls out of its power purchase agreement with Ethiopia, it would jeopardize future funding for the project as China, the last big investor, might not be able to justify its investment. 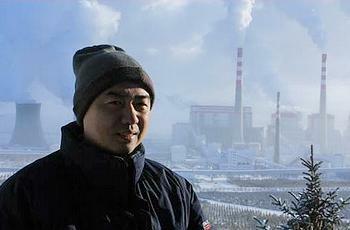 Ma Jun of China, the 2012 Goldman Prize winner for Asia, is a journalist who became a watchdog for corporate violations of China’s air and water pollution laws. Ma’s most recent high-profile effort involved Apple, one of 29 companies named in a 2010 Green IT report about heavy metal pollution in China and the only company that did not respond, citing a policy of keeping supplier information secret. He led a coalition of nongovernmental organizations to launch a “Poison Apple” campaign, protesting the company’s lack of supply chain oversight. In September 2011, after a year and a half of silence, Apple approached Chinese environmental groups and began to drive its suppliers to clean up their practices. Ma’s campaign is rooted in his work at the “South China Morning Post” in the 1990s, when he witnessed environmental pollution and sufferings of people in many watersheds in China. His book “China’s Water Crisis” became a national call for environmental protection. Realizing that access to information facilitates public participation in pollution control, Ma founded the Institute of Public and Environmental Affairs, where he organizes monitoring and enforcement data from the Chinese government, making it public online in air and water pollution maps. To date, Ma and his team at IPE have exposed over 90,000 air and water violations by local and multinational companies operating in China. Through its Green Choice supply chain program, with its 41 local NGO participants, IPE has encouraged consumers to use their buying power to influence corporate sourcing and manufacturing behavior. Although IPE has no regulatory authority within the government, under Ma’s leadership the organization has succeeded in getting more than 500 companies to disclose their plans and efforts to clean up their facilities. Ma is now working collaboratively with major brands such as Wal-Mart, Nike, GE, Coca Cola, Siemens, Vodafone, H&M, Adidas, Sony, Unilever, Levi’s and Lenovo, all of whom now reference the maps and self-regulate their operations. Evgenia Chirikova of Russia, the 2012 Goldman Prize winner for Europe, is fighting for the life of the Khimki Forest, 2,500 acres of federally protected parkland in a northern suburb of Moscow. In 2007, the Russian government announced plans to construct a highway that would connect Moscow and St. Petersburg. Without public involvement, the government selected a route that would bisect Khimki Forest, one of the region’s last old-growth forests, ignoring alternatives that would have preserved the forest. The route would yield profit from timber and development close to expensive, densely populated areas of Moscow, but would not relieve the region’s traffic congestion. In 2009, Prime Minister Vladimir Putin signed a decree that altered the forest’s protected status to allow for “transport and infrastructure.” That year, the government awarded an $8 billion contract for the highway’s construction to Vinci, a French construction company whose Russian investment partners include a Putin friend and supporter. A middle-class mother of two girls, Chirikova moved to the small, clean town of Khimki so that her daughters could grow up closer to nature. One day in 2007, she discovered trees marked with a red “X” that tagged them for removal. With no experience in grassroots organizing, Chirikova left her engineering job to form the group Defend Khimki Forest, and began organizing public opposition to the highway project. 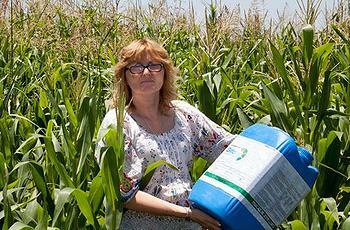 Despite government persecution, Chirikova has succeeded in gathering widespread support. Defend Khimki Forest’s first rally drew a crowd of 5,000 people, one of the largest public environmental protests in Russian history, and gathered more than 50,000 signatures. Chirikova and her colleagues convinced the European Bank of Reconstruction and Development and the European Investment Bank, major financial backers of the highway, to withdraw their funding, citing environmental, social and financial concerns. Government officials have arrested and detained Chirikova numerous times and circulated baseless rumors that she is an American spy. She has fought false claims of neglect and mistreatment from child protection authorities who threatened to take her children. Still, Chirikova and her colleagues continue to fight for an alternative route and a halt to the forest destruction. 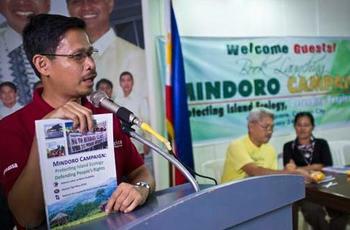 Edwin Gariguez of the Philippines, the 2012 Goldman Prize winner for Islands, is battling an open-pit nickel mine on the island of Mindoro proposed by the Norwegian mining company Intex. Affectionately known as “Father Edu,” Gariguez is a Catholic priest and pastor of the Mangyan Mission Catholic Church on Mindoro. Edwin Gariguez campaigns at a public meeting. The proposed mine area is within a biodiverse watershed that feeds the island’s four major rivers, which provide drinking water to lowland communities and irrigation for Mindoro’s rice fields. The proposed mining area is within the ancestral territory of Mindoro’s Mangyan indigenous communities, whose burial grounds were desecrated during the mine’s exploratory phase. The Intex mine would use acid leaching to access the nickel ore. The process would produce millions of tons of toxic waste, contaminating the island’s water resources and destroying tropical forests. To fight the mine, Gariguez co-founded the Alliance Against Mining, a coalition of Mindoro residents, elected officials, civil society groups, church leaders and indigenous peoples. While not opposed to mining per se, Gariguez believes measures to safeguard the environment, protect indigenous communities’ rights and ensure a fair distribution of economic benefits should be required. Undeterred by threats of violence and verbal harassment from mining officials and the military, and despite the murder of an ALAMIN colleague because of his activism, Gariguez succeeded in getting an island-wide moratorium that required Intex to stop activities related to large-scale mining. Intex ignored the local ordinance, so Gariguez traveled to Europe to address Norwegian parliamentarians and Intex shareholders, who began asking detailed questions about the mine. Together with a Norwegian nongovernmental organization, Father Edu filed a complaint with the Organization for Economic Cooperation and Development. In 2009, he led an 11-day hunger strike until the federal Department of Environment and Natural Resources agreed to conduct an investigation into the mine’s environmental and social violations. Caroline Cannon of the United States, the 2012 Goldman Prize winner for North America, is working to halt the rush to drill for oil and gas in the Arctic seas. Cannon is Inupiat, one of 700 Inupiat people who reside in Point Hope, a remote village on the shores of the Chukchi Sea above the Arctic Circle. As their ancestors have done for millennia, the Inupiat draw their sustenance from the Chukchi’s bowhead whales, walrus, polar bears, fish, and migrating birds. 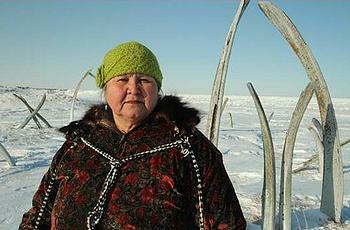 To safeguard these resources, Cannon has traveled across Alaska and to Washington, DC to attend hundreds of industry meetings and federal summits, representing Point Hope’s concerns and sharing her traditional knowledge of the Arctic marine environment, including whale migration patterns, walrus habitat and the dynamics of ice floe movements. Cannon became the face of the Inupiat community in a federal lawsuit challenging the U.S. government’s 2007-2012 offshore oil and gas development plan for the region. Her representation of Point Hope as a co-plaintiff in the case was instrumental in obtaining the 2009 federal court ruling that the proposed oil and gas leases failed to consider the significant impacts to the region’s marine environment. The decision stopped all but one of the proposed leases; Cannon and her partners now are challenging that lease in federal court. Cannon continues to visit Capitol Hill, standing up to industry and government during this election year, amid growing pressure to support domestic energy development and create new jobs. She and her environmental partners are galvanizing public opposition to provisions in the 2012-2017 federal plan that would allow Shell Oil to drill several exploration wells in the Chukchi Sea. Sofia Gatica of Argentina, the 2012 Goldman Prize winner for South and Central America, organizes opposition to the widespread spraying of agrochemicals that threaten human health and the environment. Gatica lives in Ituzaingó, a working-class neighborhood of 6,000 in central Argentina surrounded by soy fields. After the death of her three-day-old daughter of kidney failure, Gatica learned of cancer rates in the community that were 41 times the national average, as well as high rates of neurological and respiratory diseases, birth defects, and infant mortality. With only a high school education and no organizing experience, Gatica co-founded the Mothers of Ituzaingó, a group of 16 mothers working together to put a stop to the indiscriminate agrochemical use that was poisoning their community. Argentina is the world’s third largest exporter of soybeans. Every year, the soy industry sprays over 50 million gallons of agrochemicals such as endosulfan and glyphosate, the key ingredient in Monsanto’s widely-used herbicide Roundup. While Monsanto claims there is no risk to humans, a 2008 scientific study found that even at low concentrations, glyphosate causes the death of human embryonic, placental and umbilical cells. Endosulfan is a pesticide that has been banned in 80 countries. In May 2011, endosulfan was added to the list of persistent organic pollutants to be eliminated under the Stockholm Convention, an international treaty. With these findings in mind, the Mothers of Ituzaingó brought together environmental groups for a “Stop Spraying” campaign. They led press conferences, demonstrations and published materials to warn the public about the dangers of pesticides. Gatica and the Mothers of Ituzaingó have endured insults and threats from individuals, police officers and business owners in Ituzaingó. In 2007, someone entered Gatica’s home and at gunpoint demanded that she give up the campaign. She stood her ground. In 2008, the president of Argentina ordered the minister of health to investigate the impact of pesticide use in Ituzaingó. The resulting study conducted by the Department of Medicine at Buenos Aires University corroborated the mothers’ door-to-door research linking pesticide exposure to public health. Gatica then succeeded in getting a municipal ordinance passed that prohibited aerial spraying in Ituzaingó at distances of less than 2,500 meters from residences. A 2010 ruling from the Supreme Court not only banned agrochemical spraying near populated areas, but it also reversed the burden of proof. Instead of residents having to prove that spraying causes harm, the government and soy producers must now prove the chemicals are safe. Other municipalities in Argentina have asked Gatica for help addressing similar problems. She is working with the Stop Spraying campaign to ban all aerial spraying in Argentina and create buffer zones so that agrochemicals are not used in close proximity to residential areas and waterways. With Argentina’s ban on endosulfan taking effect in July 2013, Gatica and her colleagues now are pushing for a nationwide ban on glyphosate.